Print : CES 2013: The Year the “Connected Home” Becomes a Reality? At last year’s Consumer Electronics Show in Las Vegas, Wi-Fi-connected home appliances were chattier than a six-person sitcom ensemble. 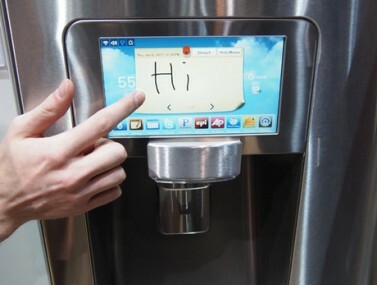 Fridges tweeted, told you what groceries to buy and then talked to the oven. Washers and dryers messaged the “smart” TV when the wash cycle was done, and robotic vacuums responded to a tap on a smartphone app. But at this year’s International CES it could be the smaller home devices that win the spotlight — likely a Wi-Fi connected spotlight. Driven partly by innovation and partly by pure necessity — regular old incandescent bulbs are slowly being phased out in favor of energy-efficent ones — the newest wave of lightbulbs come with built-in technology that let consumers control them with simple mobile apps, so they can turn on, turn off and create ambient scenes with the flick of a smartphone. And despite the high cost of LED bulbs, consumers seem to be turned on by them. In November of last year, Philips Electronics introduced Hue, a $200, ZigBee-connected lighting system. It works with energy-saving LED bulbs, and the bulbs are controlled over a home Wi-Fi network with an iOS or Android app. 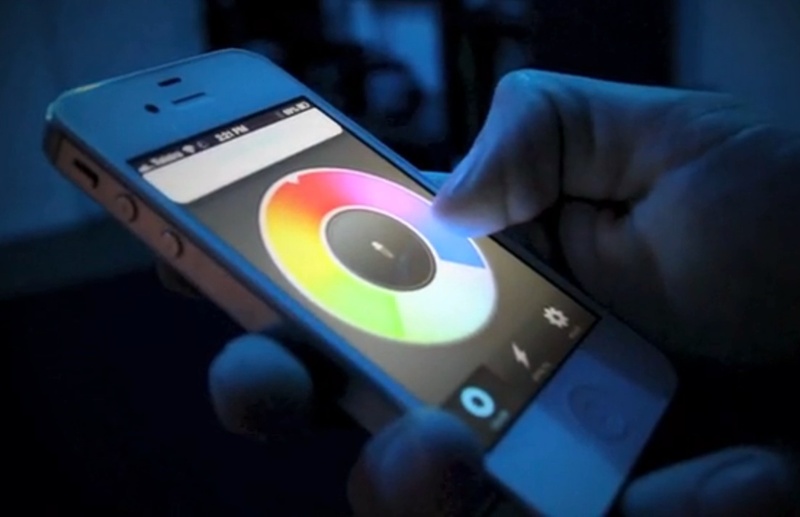 In addition to offering natural lighting scenes, with Zen-like labels such as “Relax” and “Concentrate,” Hue lets consumers create color schemes based on photos from the iPhone’s camera roll. Sound gimmicky? I thought so, too, until a few Hue lights transformed my apartment, with its stunning views of brick and cement, into a convincing sunset scene at any time of the day. Shortly after its launch, Hue was back-ordered for three to four months on Apple.com, Philip’s exclusive retail partner for the product. Filip Jan Depauw, a senior global director at Philips, said there has been “unprecedented global demand for Hue,” though the company declined to say how many units have sold. Philips has since increased production to supply Apple stores with fresh Hue starter kits, which include three bulbs. Just prior to the launch of Hue, a Wi-Fi-controlled, multicolored LED bulb called LIFX was all the rage on the crowdfunding site Kickstarter. Its creator far exceeded his fundraising goal of $100,000, raising more than $1.3 million dollars in preorders to help with production of LIFX. Next week, companies like Spark and GreenWave Reality will also show up at the Vegas gizmo show. GreenWave Reality distributes Wi-Fi LED lightbulbs through utility companies; last year, the company nabbed two CES Innovations awards. Start-up Spark has created a solution for the less-expensive incandescent bulb: The Wi-Fi capabilities are in the $50 socket, not in the lightbulb, or in a bridge device that connects all of the bulbs. It’s not just smartphone-controlled bulbs that are creating the latest wave in accessible home tech: Products like Wi-Fi-connected, easy-to-install thermostats, locks and alarm systems are also expected to have a presence at this year’s show. 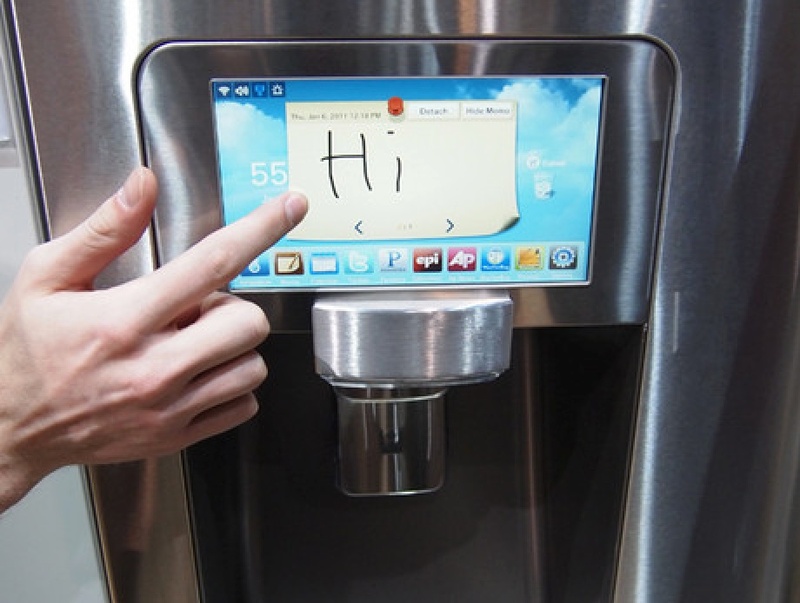 In total, the Consumer Electronics Association expects to have more than 900 exhibitors that are focused on the connected home this year. Jeff Joseph, the CEA’s senior vice president of communications and strategic relationships, says the idea of the “connected home” has changed since home tech first debuted at CES 13 years ago. 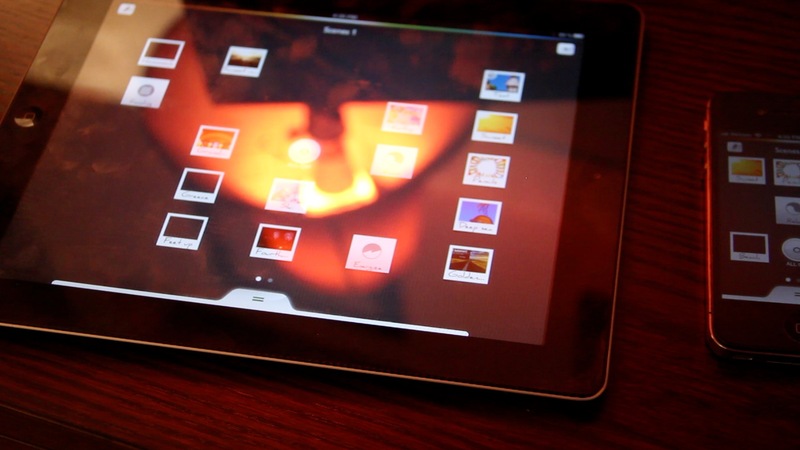 “Whereas it used to be all about home control, now it means leveraging existing products we’re already using, including tablets and smartphones,” Joseph says. To be sure, consumers can still expect to see some high-tech chill boxes (what I’ll call the “tweeting fridge”) and smart washers and dryers again this year. Many of these tricked-out home appliances have been marketed as Smart Grid-ready, and are often designed to work with consumer-friendly smartphone apps. LG Electronics promises its new smart appliances — some of which are NFC-equipped — will let the user start a load of laundry while driving home from work, tell their robotic cleaner to vacuum the floor before company arrives, or view the refrigerator’s inventory of food items via their smartphone. Whirlpool is introducing a Bluetooth-capable CoolVox refrigerator, which lets consumers play music directly through the refrigerator from an app on an iPhone or tablet. Though, he adds, the cost of expensive LED bulbs could still be a deterrent for consumers. And while more-accessible home tech may be a gateway drug to the “connected home,” there’s a real risk that too much fragmentation could create a less-than-relaxing environment. It’s one thing to come home from work and fire up a couple of mobile apps. It’s another thing to use one app to turn off the home security system, another to open the front door, and yet another app to turn on the lights. And that’s without even touching the apps for your Nest thermostat or Samsung refrigerator. For that reason, some exhibitors at CES will take more of a “platform” approach. Home-improvement retailer Lowe’s is one such company: It plans to show off new products next week that all work on the company’s home-connectivity hub, called Iris. These products include a smartphone-and-Web-controlled lawn-sprinkler system and a “smart” pet door that tells you Fido’s whereabouts. International CES runs from Jan. 8 to Jan. 11, and AllThingsD will be there with coverage of connected home developments and all the other emerging trends and new devices. Return to: CES 2013: The Year the “Connected Home” Becomes a Reality?